Huawei hinted at "mooore" for its next flagships that are about to be unveiled tomorrow, and it will seemingly mean more expensive, too, judging from today's leaked full specs and price list, courtesy of the big German electronics store Saturn. 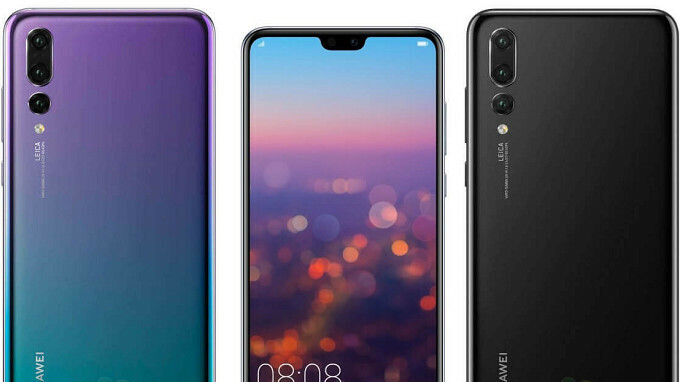 An employee has snapped the price and specification tags of the three phones that will be unveiled tomorrow - P20, Pro and Lite - and, while Huawei is seemingly throwing in the kitchen sink of specs and options into the two notchworthy phones, the P20 and the P20 Pro, they will also be quite a bit more expensive than we thought, yet in line with previous rumors. Still, as you can see, the exact setup of the triple camera is a 40 MP main sensor, a 20 MP monochrome one, and an 8 MP telephoto lens, meaning the record 3x optical zoom, sweet. The Huawei P20 in blue will go for €649, which is a bit lower than the €679 price bandied about before, and two euro-Benjamins lower than the S9 in Germany. When it comes to the P20 Pro, however, the 'twilight" color version, whatever that means, is priced at €899, or exactly at the unpleasant rumors about its price. Granted, that is still €50 lower than the Galaxy S9+ in Europe, which is its direct competitor, but still, if we expected Huawei to have cut us some slack on the first slim and modern phone with triple camera and 40 MP sensor, we are in for a surprise, it seems. This multiple camera thing is getting ridiculous. How many do we need? I would not hesitate to get Mate 10Pro instead of this. It is also 300 euros cheaper, more attractive and has all the powerhouse inside. Until they properly learn the perfect combination, they're probably going to keep experiementing. Google has shown you don't need a camera just for portrait mode, so in my mind the perfect setup would be an incredibly sharp 12mp with dual pixel and an ultra wide angle. Hopefully sensor size and software optimization will become the focus (no pun intended) again before too long, instead of competing for the flashiest (again, no pun intended) specs. The Mate 10/Mate 10 Pro has an excellent camera... Almost neck to neck with the Note 8 camera. You should test it out yourself before making assumptions. Better remove the chin, push the fingerprint sensor to the back.